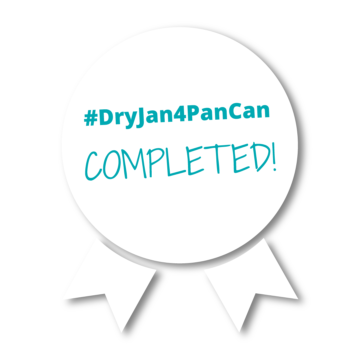 DryJan 4 PanCan: January is over! January has come to an end and with it, so has our DryJan 4 PanCan campaign. This year, we’ve had a huge amount of people taking part and we couldn’t be more thankful! We are so grateful to each and everyone of you for taking part in DryJan 4 PanCan and we’re sure your bodies are grateful from the alcohol break too. We’re also incredibly thankful to all those that donated too, as not only have you supported someone through the DryJan 4 PanCan challenge, but you’ve donated towards our aim in saving lives through early diagnosis of pancreatic cancer. It’s just your kind of support that helps us push further, achieve better results and make real change each and every day. Thank you everybody and well done! Tell us how you did on social media, and share your photo’s with us using the hashtag #DryJan4PanCan we’d love to hear your stories! Previous Article Rupert Lycett Green becomes PCA’s newest Patron Next Article Could bacteria on the tongue show pancreatic cancer?